Thomas Fairclough: Constitutional Change, Standing Orders, and EVEL: A Step in the Wrong Direction? In their 2015 General Election manifesto the Conservative Party promised to end the “manifest unfairness” whereby Scotland could decide its own laws within areas of devolved competence only to have Scottish MPs able to have a say on similar matters that affect only England (or England and Wales). Whilst this is a problem in relation to all the devolved nations the Conservatives focused on Scotland. With their pledge, the Conservatives promised to solve the West Lothian question once and for all and, in October 2015, the House of Commons passed new Standing Orders that implemented a procedure to, in the Government’s view, redress the imbalance. The mechanism provided for is hardly accessible (see further below) but, in short, it creates the following procedural route: before the second reading of a Bill the Speaker shall certify any Bill, or part of a Bill, which (i) relates exclusively to England or to England and Wales; and (ii) is within devolved legislative competence. The Speaker is to ignore “minor or consequential effects” when deciding these questions. A Bill certified by the Speaker goes for a Consent Motion, which is where a Legislative Grand Committee made up of MPs from England (or England and Wales), decide on whether to allow such a Bill (or parts of a Bill) to pass for a third reading. If consent is withheld the Bill will be reconsidered by the House of Commons. The Bill then returns to the Legislative Grand Committee, and if they withhold “consent to the…bill, the bill may not be given a third reading and shall not pass” (emphasis added). If it is only part of a Bill that the Committee does not consent to then that part of the Bill is discarded and the rest proceeds. In short, then, a veto power has been given to some MPs after a Bill has passed a second reading in the House of Commons. This does, on its face, at least attempt to solve a constitutional dichotomy that has plagued the United Kingdom since the then MP for West Lothian raised the issue during a Parliamentary debate on proposed devolution in 1977 and which, in light of the current Scotland Bill and draft Wales Bill, would have only increased in prominence. However, is the mechanism implemented, both in the narrow and wider constitutional sense, practical or desirable? The newly formed Public Administration and Constitutional Affairs Select Committee (PACAC) released a report last week (The Future of the Union, part one: English Votes for English Laws) tackling this question. The report identifies three areas of difficulty with this new procedure, which this post seeks to explore. The areas examination are (a) complexity; (b) potential long-term effects; and (c) ad hoc constitutional change. The outline given above is a much simplified version of the new procedure. In its fuller form, Sir William McKay, a former Clerk to the House of Commons, noted to PACAC that despite having “spent 40 years trying to grapple with procedure” he has “great difficulty in discovering what each of these Standing Orders…means”. Further, Lord Lisvane, another former Clerk to the House of Commons, said that good procedural rules should not be the subjects of contention in themselves, yet these new rules are inherently ambiguous and contestable. Indeed, there seems to be an ambiguity about when the new process will even apply given the difficulty of deciding whether a certificate ought to be granted in the first place. As Paul Reid pointed out in an earlier post on this blog it is not always clear where the boundaries of devolution lie and so it will not always be clear whether the Speaker is right or wrong to issue a certificate. Indeed, one only needs to think of the several Supreme Court cases that have grappled with whether something was within the competence of the devolved legislatures to see that this is true. Further still, as the Bingham Centre has previously noted, we have not had a consistent approach to determining the question of devolutional competence in borderline cases. Due to this complexity, the PACAC argued that the test puts the Speaker in “an unnecessarily controversial position”. It seems difficult to suggest that the Speaker, even with the advice of the Clerk of Legislation and other civil servants, will always make the legally correct decision, since there is no requirement that he be a trained lawyer (much less that he be one specialising in devolution). This is not to criticise the Speaker, it is only to argue that if the Supreme Court has difficulty he will also, inevitably, find decisions problematic. This is something that could, arguably, be remedied by ensuring an adequate administrative framework (e.g. making sure the Speaker gets the best advice possible) for when the Speaker has to consider whether granting a certificate but, so far, the Government have been relatively silent on this topic and do not seem to see an issue, with the Leader of the House (Chris Grayling MP) stating that it is a “very simple test” that the Speaker must put his mind to. The Mile End Institute, in its written evidence to PACAC, noted that an unintended “spillover…concerns funding to the devolved administrations through the Barnett formula”. As will be well known, this formula means that spending decisions in England partly determine the block grants of money given to the devolved nations. As a result of these changes, the arguable mandate that MPs from devolved nations have in voting for legislation that is ostensibly English only in its reach will be reduced. Whilst they will still have a say (at reading stages) over a Bill their say is always subject to the consent of English or English and Welsh MPs alone. It is worth noting, as PACAC did, that a change in the funding regime has generally been seen as a pre-requisite to any system of EVEL, and this has not happened here. Another potential consequence, as the McKay Commission report pointed out, is that EVEL could create two classes of MP in a single chamber because one block of MPs will have a veto over what the entire House has voted for previously. The McKay Commission explicitly warned against any change that would lead to this. Indeed, they went as far as to say that “MPs from outside England should not be prevented from voting on matters before Parliament” simply because it builds resentment amongst the constituents represented and ruins the integrity of the single chamber. As Sir William McKay stressed in oral evidence to PACAC, it is important to avoid “a serious manifestation of the two classes [of MP], in which one was distinctly subordinate to the other”. Yet this is exactly what has happened here. It is difficult to engage in constitutional or political futurology with any accuracy but, given the tensions between England and the devolved nations (particularly Scotland), it is fair to say that this purported subordination of peoples’ elected representatives in Westminster will potentially only fan the flames of nationalism when the relationship is already strained. The SNP MP Pete Wishart stated, after Scottish MPs were stopped from voting for the first time under the new measures, that “nothing has infuriated the Scottish people more than the measures on English votes for English laws”. Whilst this may have been SNP rhetoric it is undeniable that it will be used to further their nationalist cause (especially with the consensus that the SNP’s election victory in May 2015 will make independence more likely). If devolution and the rules around it are designed, in part, to keep the Union together then EVEL may well fail in this regard; indeed, it may produce the opposite effect of devolution’s aim and push the Union to breaking point. We are used to ad hoc and piecemeal constitutional change in the United Kingdom (Alison Young has gone as far as to compare our approach to Neurath’s Ship in this blog). It is possible that this just comes with having an uncodified constitution and relying heavily upon the doctrine of Parliamentary sovereignty. However, the more worrying trend is the rate at which constitutional change is adopted without proper consultation or unilateral agreement across the political spectrum. This is something that has attracted particular attention in relation to devolution and EVEL is no exception. PACAC point out that the Government’s EVEL policy “has attracted significant criticism from members on the opposition benches” which was reflected in the split in the vote to bring in the Standing Orders (all 312 MPs who voted in favour came from the Government benches whilst all 270 MPs voting against came from every other party in the House of Commons that regularly votes). Indeed, Chris Bryant MP, in his evidence to the Committee, stated, “it is certainly feasible…that a future Labour administration would revoke the new Standing Orders”. Constitutional change should not happen like this; whilst accepting the current paradigm, which involves only simple majorities for constitutional change, any constitutional settlement, particularly any as important as the workings of the House of Commons itself, ought to have cross-party support in order to be considered part of a stable and agreeable constitutional arrangement that will not be subject to party political change in the future. A Government treating constitutional change as something to be done with excessive speedfurther exacerbates these problems. In evidence to PACAC Lord Norton stated the devolution process is reflective of constitutional change on a wider scale. The issue is that the “Government tends to look at it in isolation and does not stand back, look at the links and, in this context, look at the United Kingdom as the United Kingdom and how it relates to one another”. This leads to two main problems: the first is, again, looking at things in isolation leads to greater difficulties with sustainability. If something is done in a speedy and disconnected way then that perpetuates the idea that it is okay for future Governments to act in the same way. Were the Government to have undertaken a comprehensive review and tried to locate EVEL in the constitutional landscape they could have arrived at a more considered and consensual outcome, which would have helped secure the change’s sustainability. They failed to do this. The second, broader, problem is that isolated constitutional change undermines the integrity of the constitutional settlement in the United Kingdom. Fractured constitutional change, focusing only on the change before you and not the wider architecture, makes it very difficult to properly see how the different pieces of the constitution fit together. Without this bigger picture then what hope is there of a unified constitution underlined by consistency and integrity, which should surely be the aspiration of any constitution? As PACAC points out, it is far too soon to say what the implications of the new Standing Orders will be. Likewise, it is hard to know what the status of EVEL will be in five or ten years time. PACAC recommended that the Government should use the promised review of EVEL to “rethink the issue and to develop proposals that are more comprehensible, more likely to command the confidence of all political parties…and therefore likely to be constitutionally durable”. It seems that the country faces a constitutional paradox: we (broadly) agree that the West Lothian question must be answered but there is no popular appetite for an English Parliament. Whilst these two facts remain the House of Commons will have to find a comprehensive solution that is at least agreeable, if not actively sought, across the political spectrum. It is difficult to argue that the current EVEL procedures represent such a solution. No one but the Conservative party seems to accept them; they were rushed through with little consultation; and there was little consideration of their broader constitutional implications. Along with PACAC, I hope that the Government will review EVEL and the broader constitutional settlement in a proper and principled fashion, which transcends party politics. 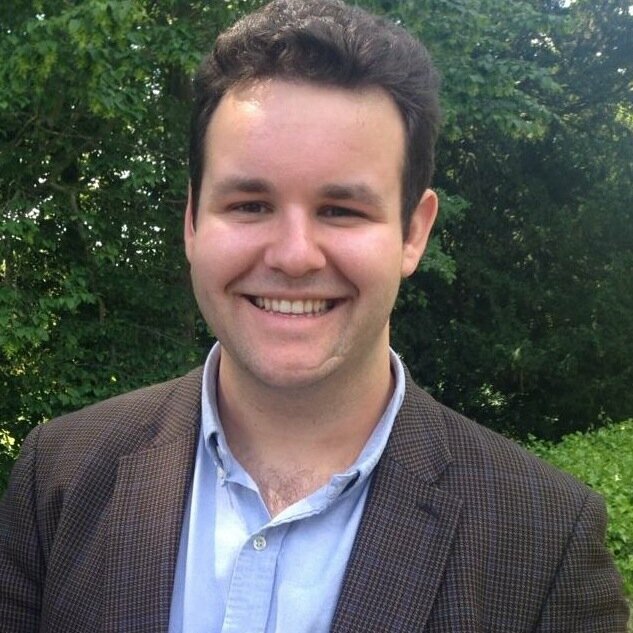 Thomas Fairclough is an AHRC PhD Candidate at Gonville and Caius College, Cambridge, and a Teaching Fellow in Public Law and Jurisprudence at University College London. Parliament is not and never has been Sovereign and the doctrine of Parliamentary Sovereignty taught by A. V. Dicey is provably false. How do I know well I have read the History books and I asked the senior archivist at the house of Commons to confirm that on the 8th March 1778 The House of Commons voted on the issue and Parliament lost. We are heading for a revolution because we have the junior estate of England trying to make constitutional changes which it can never do without the approbation of the other two estates. Any changes to the Constitution by one group is Treason and Heath Committed Treason by taking us into the EU on a false pretence. There is no UK Constitution as such unless you accept the UK is a corporation its not a Nation state. There is no British Constitution either, we have an English Constitution and Scotland have their own Constitution. England, Scotland and Wales are Nation States. It must also follow that 2005 Constitutional Reform Act is an impossible contradiction in terms and staggering in its presumption. We have either the rule of law on these islands or the rule of elites. I think we can see where this is going. We are where we are, and inevitably, we shall go forward into an unknown, and unknowable, future. While it would be nice to know how best to array ourselves for the future, it should surly be as a Democracy, and not as some throw-back to a bygone era. Yes, let’s hanker after (and strive for) a return to ‘Rule’ over Middle-management, to Statesman over here-today-and-and-gone-tomorrow Party placemen. But not by disinterring ancient-authority – rather by according each elector the status of Citizen, and thereby consigning ‘subject’ to the same mausoleum as privilege and patrimony. Ditch the folly of ‘cross-party-consensus’ and make the people Sovereign, ditch the Party-plaything of Devolution and create a truly Democratic United Kingdom. This entry was posted on February 22, 2016 by Constitutional Law Group in Constitutional change, Constitutional reform, Devolution, UK Parliament and tagged EVEL, House of Commons Standing Orders, West Lothian Question.